talked about several teachings of the Church and I found that despite his doubts he was more well educated in matters of the faith than most people of his age. When the subject of regular Mass attendance came up though I was surprised by what he said. I don't remember his exact words but they were something like this, "There's not much fun in going to church." I was taken aback by this not by way of taking offense but just because his words surprised me. I told him that while I was 100% in favor of having fun that I did not go to Mass to have fun, that there were other motivations than fun for doing things. He realized the truth of what I said and commented that nonetheless people of his generation often used "having fun" as a criterion for engaging themselves. That conversation has stayed with me and it deepened my realization that not only the Mass, but our faith itself while not being an occasion for fun, though I must admit that I have often had a great deal of fun at church gatherings, is an occasion for joy. What's the difference? Fun is basically about having a good time. Nothing wrong with that. But joy is something deeper. For me it is the deep abiding satisfaction and peace of mind and heart that comes from knowing that one's belief and actions, even though they be difficult and require sacrifice, give meaning to my life. The ultimate source of joy for me is my faith in Jesus Christ. Apart from religion I believe that there is a joy that comes from serving one's country or working for a great cause. There is joy in a good marriage even if there are many difficult moments as well. The same can be said for being a parent even though at any given moment a parent may doubt that. 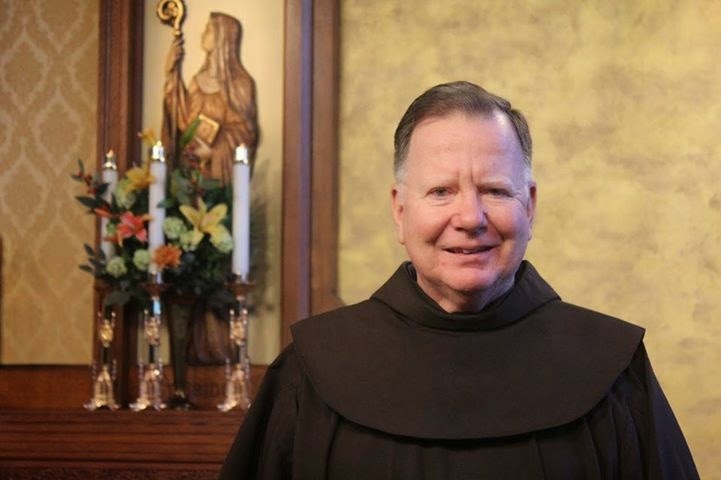 There is certainly joy for me in being a priest and a Franciscan friar. With the news that we have heard recently of Christians being persecuted in Iraq, Syria and other places I think it is important to embrace the true meaning of joy. In the Gospel text from Matthew this Sunday Jesus tells the disciples that he must suffer and that they too, and we today must take up the cross everyday to follow Him. (See Matt. 16:21-27). Our faith does indeed give me and countless others cause for putting a big smile on our faces. Moments of deep spiritual encounter with the Lord can do that. Faith, however, is not just about feeling good. Many today look to religion to make them feel good. Nothing wrong with that as far as it goes. What our faith in Jesus give us however is more than feel good moments. It gives us the realization that when hardship and suffering and even death confront us that we have something that can take us through suffering and death to life, not only to life on the other side of the grave, but to a fullness and richness of life while on this earth because of that faith. At that level faith is something to live for, to be willing to die for, and it is the cause for joy. 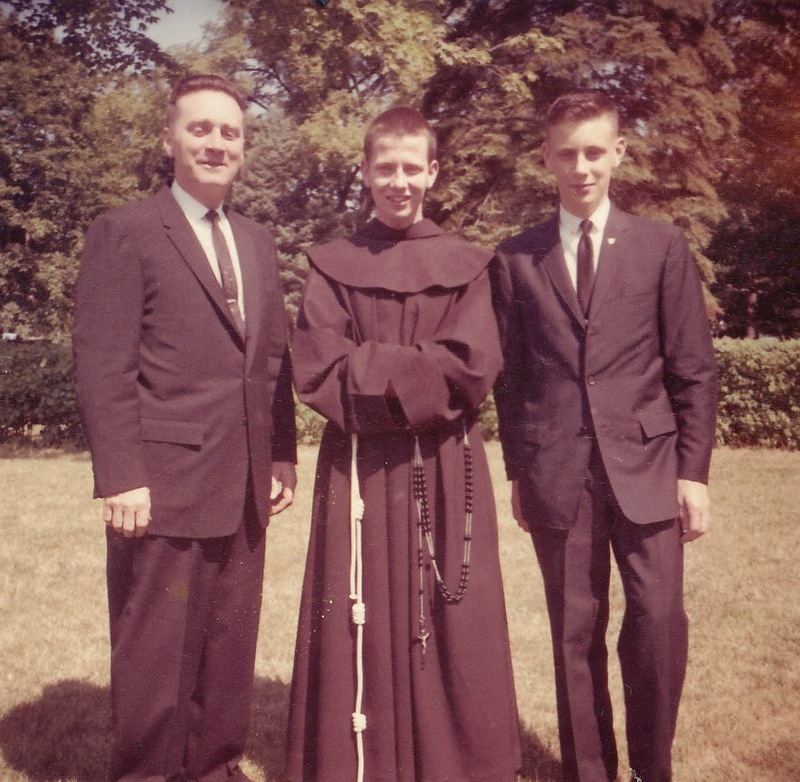 Fifty years ago today, on August 16, 1964, I promised to live by the rule and life of the Friars Minor. I was 19 years old having just completed my novitiate. I took temporary vows for three years. In 1967 I made it final and after four more years of study in 1971 I was ordained a priest. The most important thing that I can say about this fifty year journey is that I am happy, and yes, I would do it all over again. One might ask, "How does one become happy over a fifty year period by taking vows of poverty, chastity and obedience?" The key for me lies in the statement from our Franciscan rule which I quoted above. These promises are not made in a vacuum, or just individually. What attracted me to the Franciscans was not the vows per se. It was the friars. I had wonderful parish priests at St. William's in the Dorchester section of Boston where I grew up. The Franciscans who taught me at Columbus High school in Boston, however, just seemed to have a spirit that drew me towards them. Above all they seemed happy and enjoyed being together. Needless to say after joining the friars I was soon exposed to the not so pleasant foibles of some of the friars. We are, after all, human, but over the years I have realized how blessed I am to have brothers who support and encourage me in countless ways. The word friar, by the way, is derived from the Latin frater, and the French frere, both of which mean brother. The actual vows of poverty, chastity and obedience then are the means of enabling me to be a friar minor. Without those everything that I mentioned above would not be possible. Back in 1964 I could not have imagined the changes that would take place in the Church and in the world over the next 50 years. The Second Vatican Council as still in progress and I actually took my vows in Latin. In 1967 I would pronounce my final vows in English. The whole way that religious life was lived has undergone tremendous development over that time. I am thankful for having experienced all of it, both past and present. The same can be said for the world we live in. The Vietnam War was on and the civil rights movement was in full swing. Though we were isolated from that in the novitiate those events would impact our life as friars in the years ahead. From those times right up to our present post 9/11 struggles it became clear that as Friars Minor we were called to be a prophetic presence in the world, not withdrawing to the monastery, but living in the friary and stepping out into the world supporting the struggling and challenging all to live the values of the Gospel. For those who know me it is this and not any political leaning, that generates my stands on any number of issues in our present world. My province and the entire Order are a source of strength in doing that. After all, as the opening statement says, "The rule and life of the Friars Minor is to live the holy Gospel of our Lord, Jesus Christ.." I am still, after 50 years, growing in living up to that challenge.